Water Damage Lauderhill Experts 24/7! Since 1978 911 Restoration Miami has been performing water extractions of the highest quality and using the latest drying technology to ensure your hardwoods and carpets are left in pristine condition. 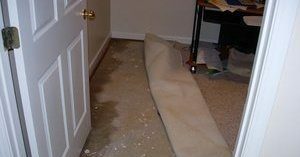 Water damage is a terrible thing that homeowners are forced to deal with when they least expect it. Our wate damage Lauderhill company feels honored to help maintain the homes in this wonderfully unique area. Most of the 8.6 square miles is home to snowbirds, retirees and a mélange of cultures that have weathered it all who simply love the good life! With Lauderhill often succumbing to water damage from storms and even plumbing problems, our water damage restoration services are vital to protecting the integrity of your home. Don’t let water damage from storms flood your property; but if Mother Nature strikes call our water damage Lauderhill team with 911 Restoration Miami today! You can protect your home from storm damage by performing some routine maintenance chores and taking precautionary measures and our water damage Lauderhill crew recommend that you start by checking your gutters. You should also check your downspouts to make sure they are aimed away from the home—otherwise water could flood your home’s foundation. When you learn about 911 Restoration Miami you will discover that we always put the customer first. 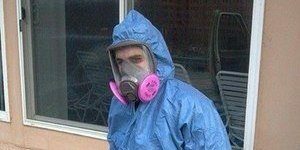 We also help keep our community members safe with our water damage Lauderhill techs. We stress the importance of installing sump pumps in your crawl space to help keep flood water at bay. Don’t let water damage destroy your home; protect yourself against storms and also beware of any plumbing problems that may be lurking in your walls. Make sure all debris like gunk, twigs and leaves are cleared out so rain water will have a place to travel versus pooling on your roof and causing inevitable leaks. If you are unable to detect a pipe leak and the plumbing bursts call our water damage Lauderhill team with 911 Restoration Miami without delay, and we can tackle it today! Our water damage Lauderhill team with 911 Restoration are number one because we value professionalism, and our actions prove it when we always put the customer first. We respond within 45 minutes of every emergency call and we have over 35 years of experience in offering the best class of service. Whether you have ruptured hoses, a toilet overflow or a water heater leak, we are licensed, insured, and bonded to get any job done right the first time. Working with all insurance companies is something we to so that we may help our customers get the most for their claims. 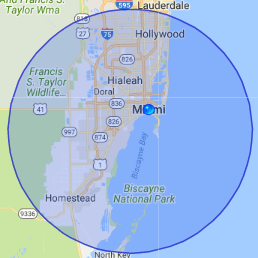 We offer same day service and an affordable price, so call our water damage restoration Lauderhill team with 911 Restoration Miami and let us take care of it all for you today!